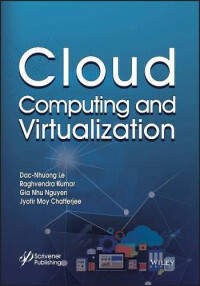 The purpose of this book is first to study cloud computing concepts, security concern in clouds and data centers, live migration and its importance for cloud computing, the role of firewalls in domains with particular focus on virtual machine (VM) migration and its security concerns. The book then tackles design, implementation of the frameworks and prepares test-beds for testing and evaluating VM migration procedures as well as firewall rule migration. The book demonstrates how cloud computing can produce an effective way of network management, especially from a security perspective.